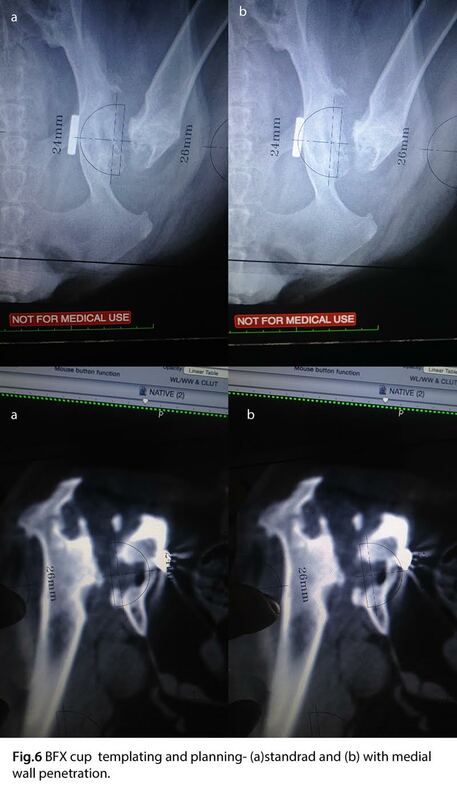 This a case report of successful revision of femoral head and neck ostectomy (FHNO) with hybrid BioMedtrix (Boonton, NJ) total hip replacement (THR) system, in a 7 years old mix dog. 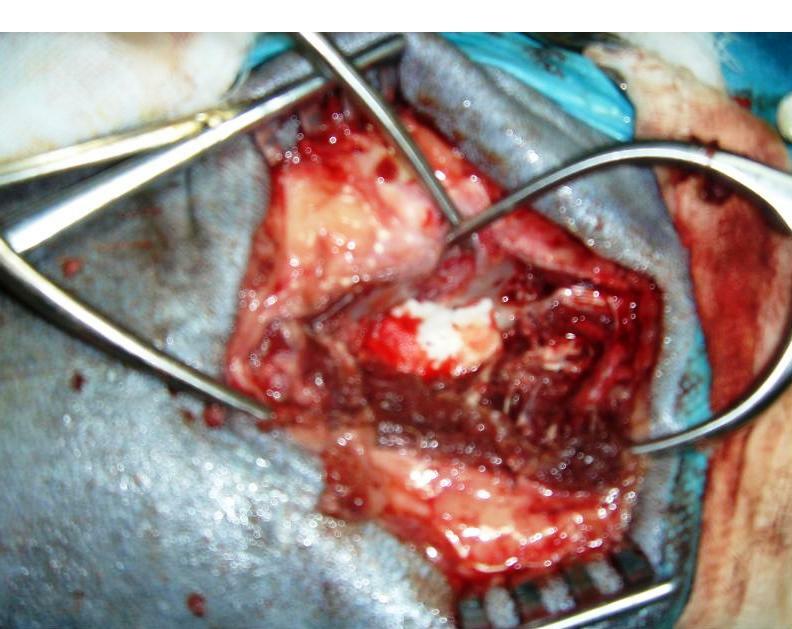 The revision indications in the case were chronic pain and functional impairment after previous excision arthroplasty for severe coxo-femoral arthritis. 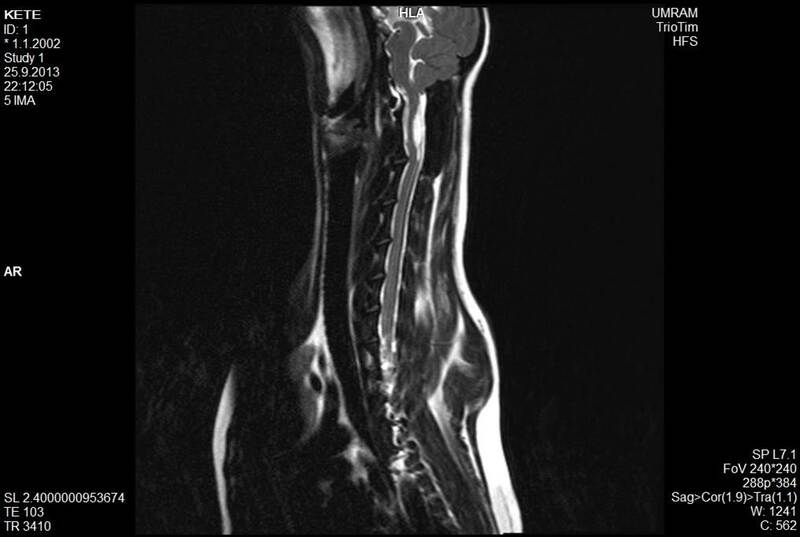 The weight of the patient (43kg), incomplete resection of the femoral neck and concomitant orthopaedic condition (elbow osteoarthritis) could had been contributing factors for the FHNO bad outcome. 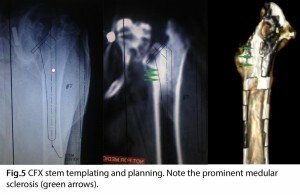 A preoperative computer tomographic (CT) study was used for underlaying cause exploration and planning the replacement arthroplasty. The time window between the two surgeries was unusually long- three years. This had caused serious morphological alterations and made the surgery of upmost technical difficulty. Nevertheless, the revision of FHNE to THR produced marked clinical improvement and return to normal activity within 3 months after surgery. THR is a salvage procedure involving replacement of a diseased pelvic acetabulum and femoral head with implants. 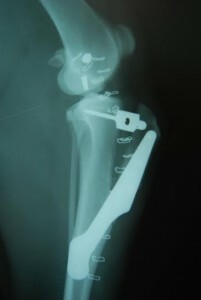 Common diseases which necessities this advanced bionic surgery are osteoarthritis, secondary to hip dysplasia or trauma, aseptic femoral head necrosis, acute or chronic hip luxation, failed FHNO, irreparable acetabular or femoral head fracture. Actually, the canine THR became commercially available since 1974 (Hoefle) and huge advancements in canine and feline THR have been made in the past 30 years. At the present, two cementless commercial systems are most popular, and several other under development1. The Zurich Cementless Hip Prosthesis (Kyon, Switzerland) provides immediate fixation of the acetabular cup by a press-fit insertion (plus option for screw fixation); Locking screws are used for immediate fixation of the femoral stem, and on growth of bone provides long-term stability. The BioMedtrix biologic fixation system (BFX) is a modular, press-fit bone ingrowth system with an unsecured acetabular component that provides the advantage of size compatibility with the components of the BioMedtrix cemented THR system (CFX). The advantages of application hybrid THR are discussed further in the case report. 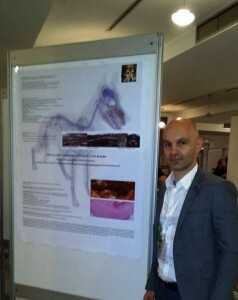 Implants design and procedures in canine THR have been well reviewed in the literature. 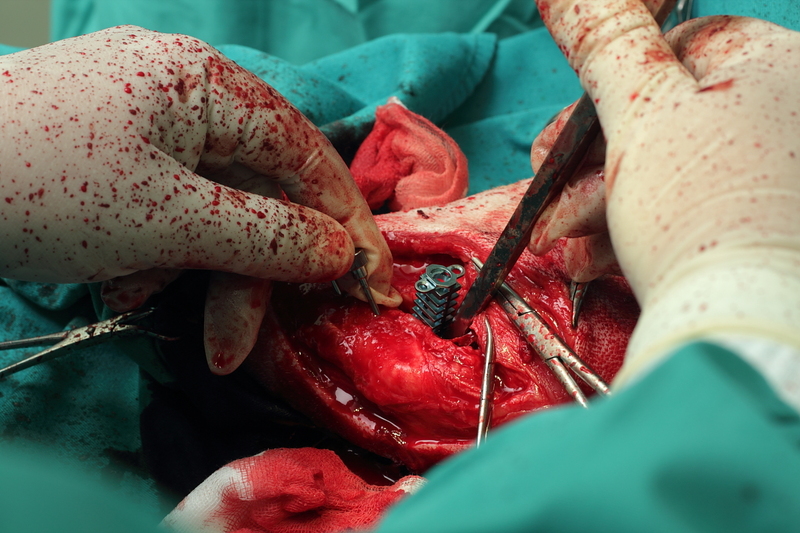 There are several studies reporting the functional outcomes and complications.2,3 Over- all excellent clinical results and reasonable (2-5%) major complications occurrence are reported by the experienced surgeons in the field. Never mind the specific implant system used, the THR surgery should achieving the ultimate goal of relieving pain and improve the patient’s quality of life by returning normal limb function. Optimally, the functional effect and the integrity of the prosthesis should last for a lifetime. Serious complications- that could be met in the procedure should be avoided by precise surgery planning and perfect aseptic and surgical technique. 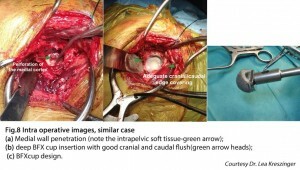 Femoral head and neck ostectomy (FHNO) is alternative low- cost salvage procedure. 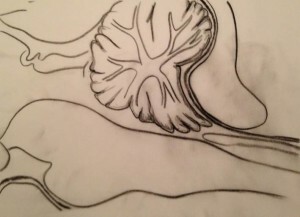 It intend to eliminate bone-to-bone contact of the diseased acetabulum and femoral head, through the formation of a pseudoarhrosis composed of non-painful fibrous connective tissue. Published reports about outcome results after FHNO have been controversial. These ones based on gross veterinarian observations or client questionnaires, show encouraging improvement in clinical signs for the majority of dogs. The more objective gait analysis data (available only recently4,5,6,7) didn’t reveal so optimistic results. Not ideal outcome in function was most evident in studies that did not rely only on owner satisfaction. Common residual dysfunctions after FHNO include: persistent lameness, restricted hip ROM , limb shortening, decreased stifle and hock angulation and muscle atrophy. The maximum functional recovery from the procedure may take up to 8 months6,7,8. 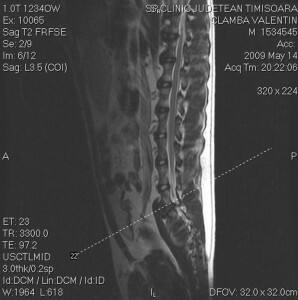 Logically, the functional outcome of FHNO is affected by surgical technique, severeness of the disease, age, post op physical therapy and body weight 9. 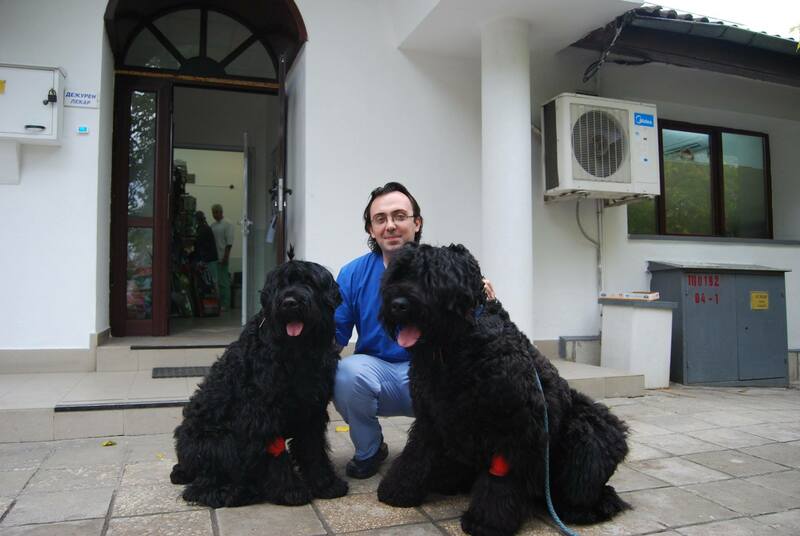 Several clinical trials suggest lack of constant results in dogs heavier than 18 kg.10,11,12 . 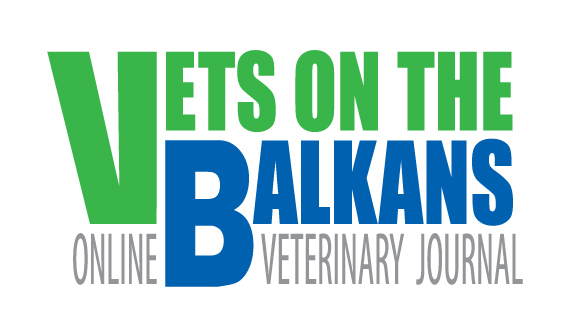 The cause of the suboptimal outcome in larger dogs is still controversial. Some studies blame the bone-to-bone contact from inadequate excision or postoperative bone proliferation13,14; Others suggest that the bone contact is commonly found after FHNO and do not explain the different clinical outcomes15,16. In cases of unacceptable pain relief, following FHNO, a revision osteotomy could be contemplated to correct a residual bone-to-bone contact, if present. 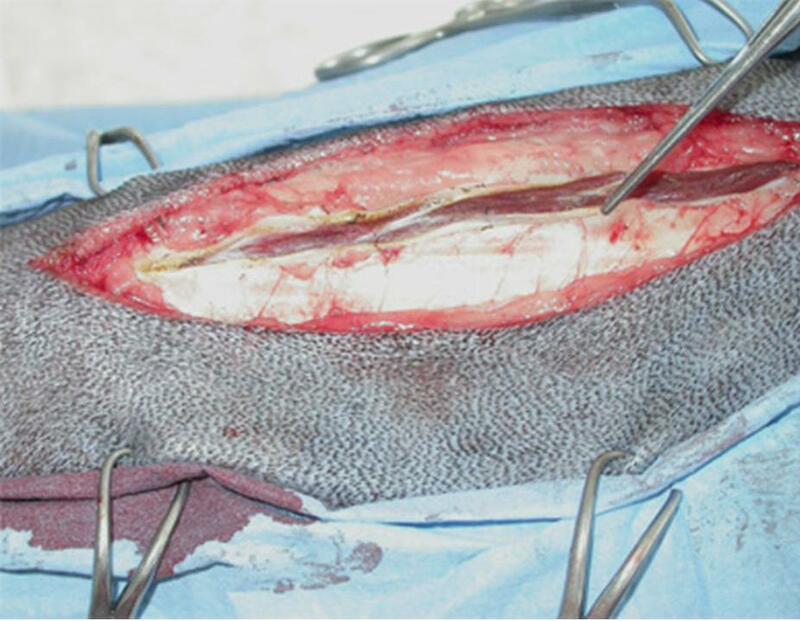 A more aggressive ostectomy (including trochanter minor) or usage of muscle flaps “slings” modifications could be used to improve the outcome, again with unpredictable outcomes12,17. Another viable option could be conversion to THR18,19,20 . Nevertheless, revisions to THR were reported to yield good and pain-free function (Gofton, 1982; Liska et al. 2010, Fitzpatrick et al. 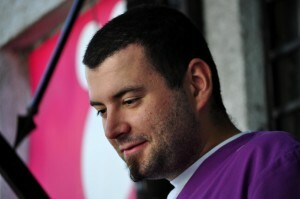 2012) many obstacles lay in front of successful procedure. 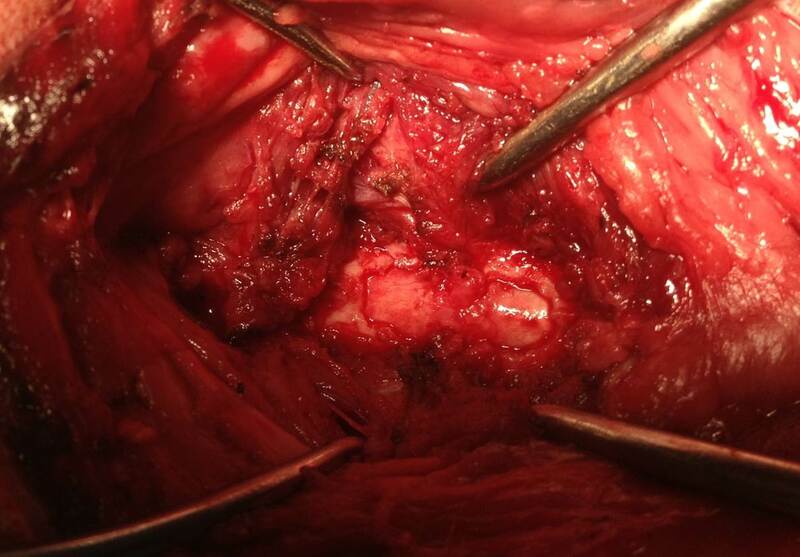 The presence of unstructured fibrous tissue and altered anatomy at the surgery site complicates the surgery, and manipulation of a previous surgical site increases the risk of infection. 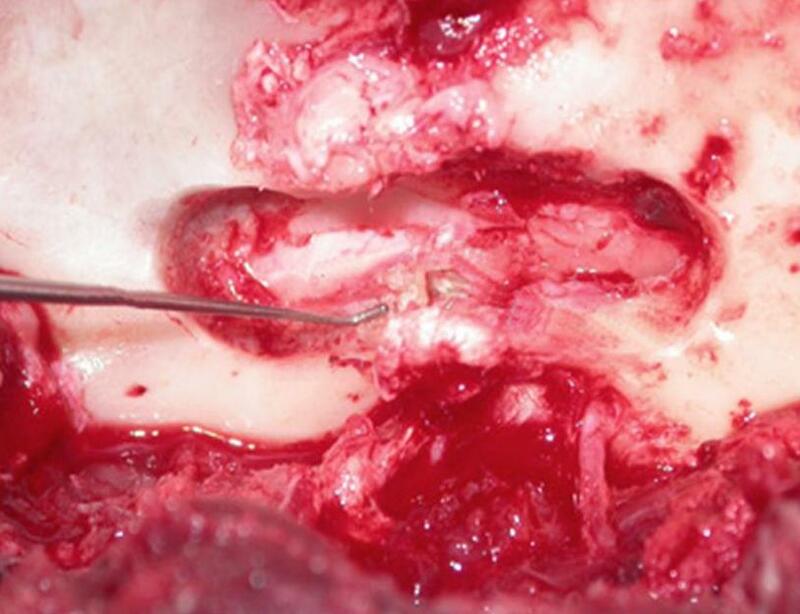 After an excision, the acetabulum fills in with bone and the proximal femur remodels with bone resorption at the excision surface and sclerotic bone production in the medial proximal endoosteal surface. 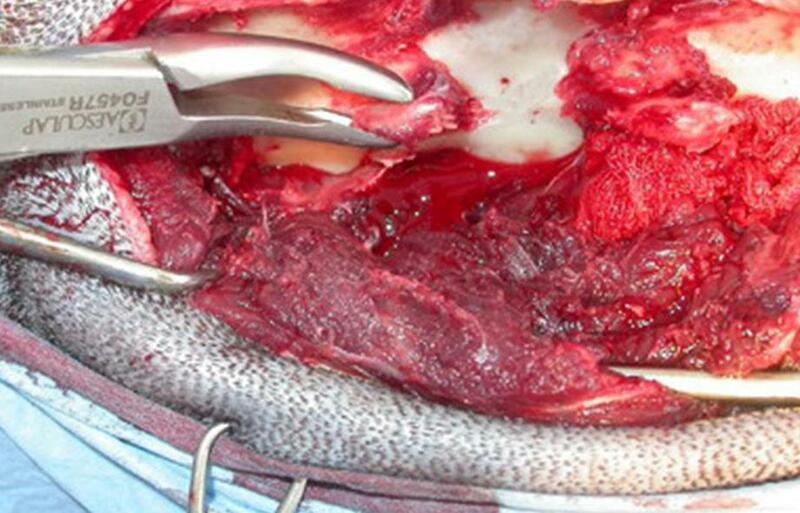 Complications are more likely after revision of FHNO, so dogs that are initially better candidates for a THR, should not be offered excision as an interim procedure. 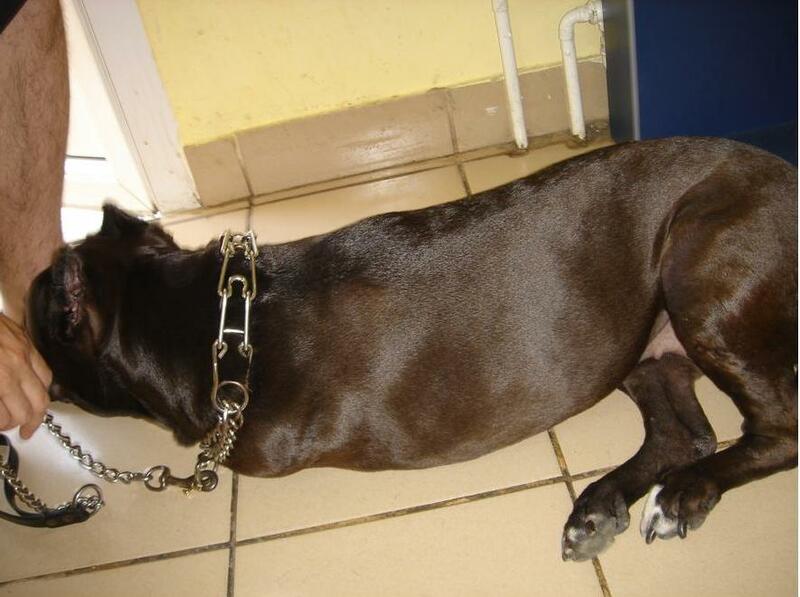 A 7 years old female mix breed dog (43kg) was presented for consultation because of chronic left hind leg lameness. 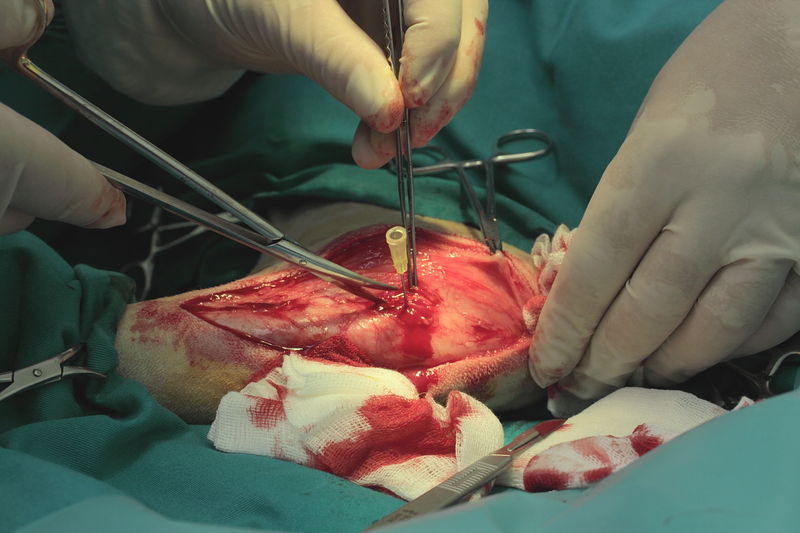 A femoral head and neck excision was accomplished 3 years ago, but the patient never show adequate pain-free recovery afterwards, despite persistent usage of anti-inflammatory medications. 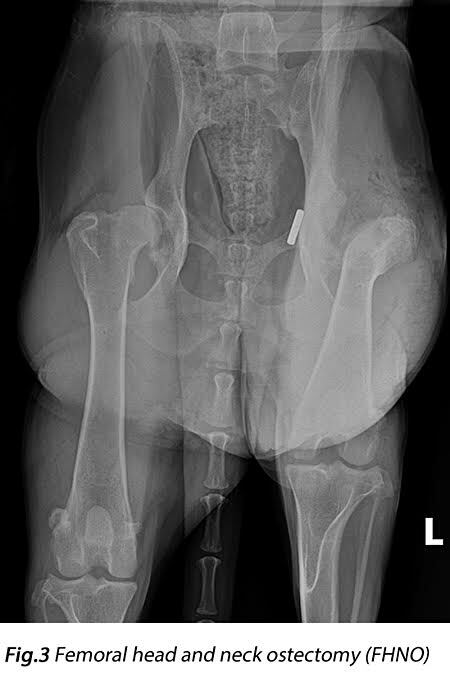 The patient had a history of previous surgeries (Fig.1-2)- left hip luxation was treated by toggle-pin reduction technique, five years ago. 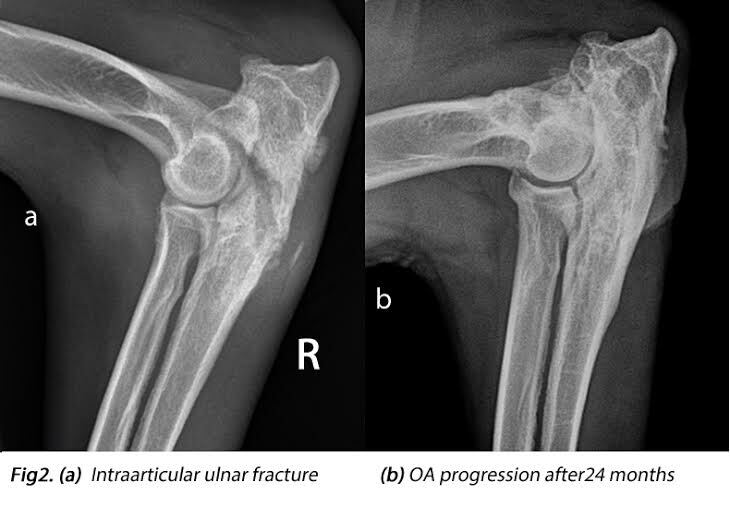 At the same traumatic incident, right intra articular ulnar fracture was diagnosed and osteosynthesis with neutralisation plate was applied. 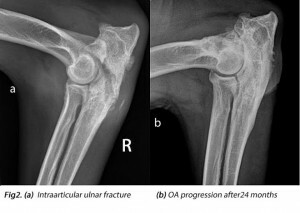 Despite the successful healing, degenerative joint changes developed gradually in the elbow afterwards. In the previously luxated left hip, progression of severe degenerative changes and clinical deterioration towards severe disabling lameness were demonstrated after the treatment. This why, FHNO was accomplished 18 months after the primary trauma (Fig.3). Radiographic signs of osteoarthritis progression were noticed also in the opposite, right hip joint. 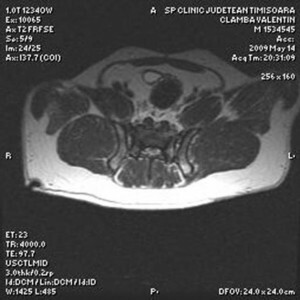 The primary cause was hip dysplasia, but no painful clinical consequences were confirmed. At the clinical exam we found a moderate (II/IV) left hind leg lameness. (video1). At manipulation the hip demonstrated restricted ROM, with obvious pain and crepitation feeling in extension.We found considerable limb muscle atrophy. The opposite hip also had decreased ROM but no pain was elicited through extension. 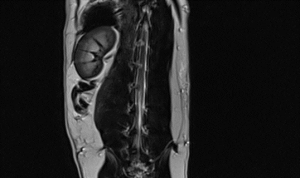 A CT imaging was used for better evaluation of the FHNO failure (Video 2). 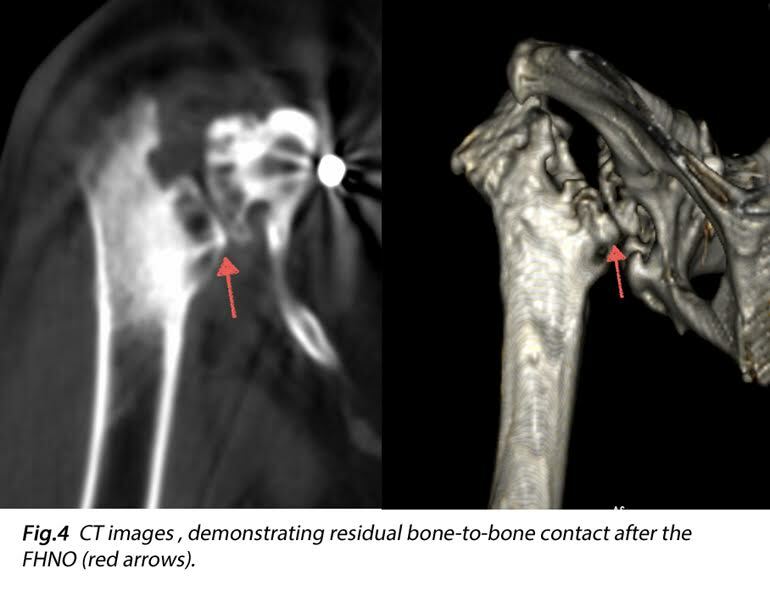 Our clinical and imaging interpretation was- residual bone-to-bone contact, caused by suboptimal FHNO and caudal- distal “under-excised” femoral neck. 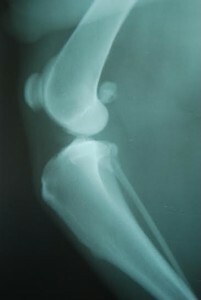 Dorsal displacement of the femur could have exaggerated the residual contact. Schiatic nerve adhesions were not supposed. A revision with hip replacement arthroplasty was planned. 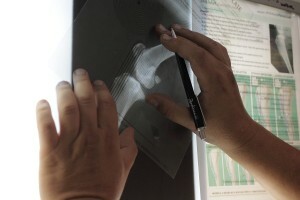 Preoperatively, magnification-calibrated radiographic study of the femur and pelvis was accomplished. The approximate size of the acetabular cup and femoral stem were determined using acetate template overlaid on radiographs, but with doubts considering the real bone quality of both- the acetabular and femoral components. Actually, the CT images played a crucial role in the detailed evaluation of the abnormal morphology, present 3 years post FHNO surgery. Appreciating the femoral component, challenging technical problem was found. 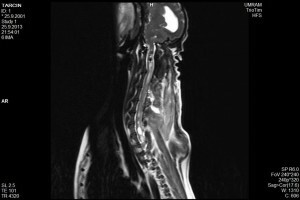 A severe proximal femoral canal sclerosis (much more obvious on CT images compared to the pre op X-rays)- Fig.5. This secondary changes always interfere with the well aligned, centralised process of reaming and broaching into the femoral canal. 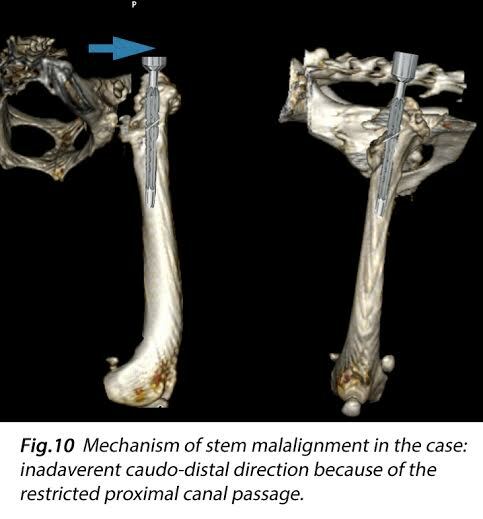 The eccentrically dense bone structure inevitably pushes the canal instruments out of the ideal position, increasing the risk for stem malposition and iatrogenic femoral fracture. 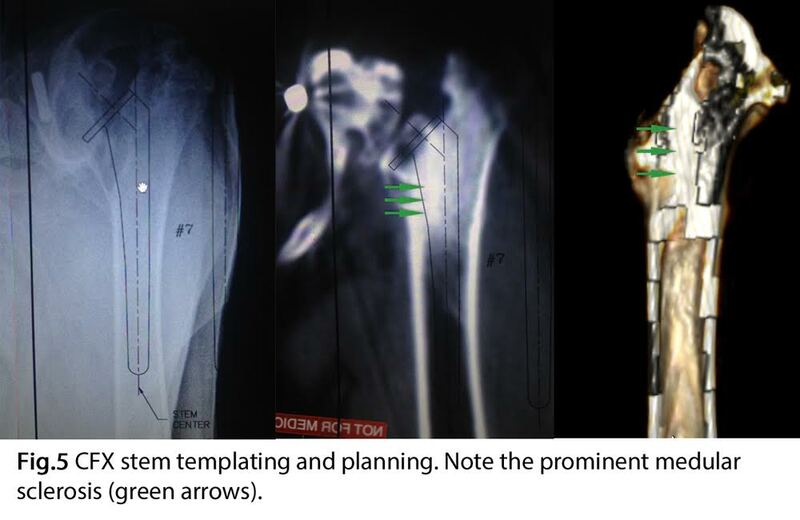 This plus the advanced age was appreciated as risk factors for femoral shaft fracture, so a decision for the safer cemented femoral stem (CFX № 7) insertion was made. Because CFX stem have collar, laying against the proximal canal opening, plan was made to correct of the previous FHNO cut, lowering it. Another technical issues were met, evaluating the pelvic component. 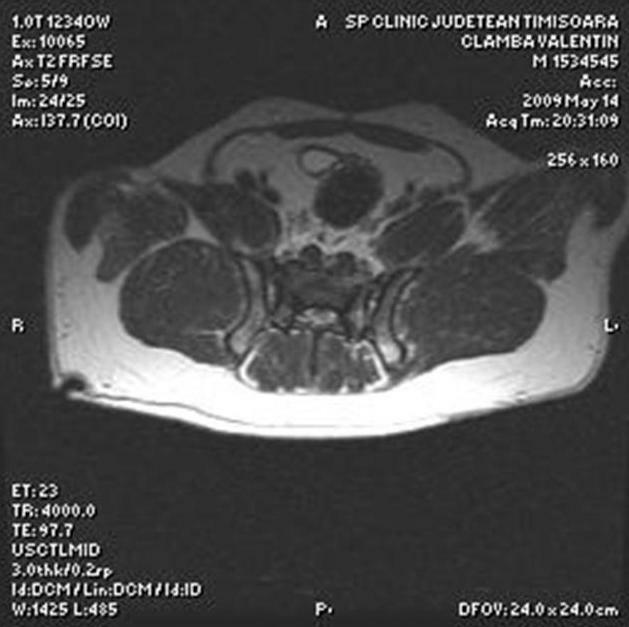 A flattened, critically shallow acetabulum was found on the CT images, not clearly visible on the radiographs (hidden by the false hoarse bone proliferation). This made the precise cup sizing challenging. The CT (including 3D reconstruction) images, were used for analysis the real bone stock present in the “pseudo acetabulum” area. The smallest possible cup (24 mmBFX) was templated but still without adequate dorsal bone engagement. Fortunately, the Biomedtrix THR system offers an unique clinical solution in these difficult cases. Because of the cylindrically shaped press- fit anchoring mechanism , the Biomedtrix BFX cup may offer great stability properties if just adequate cranial and caudal bone contact is achieved. 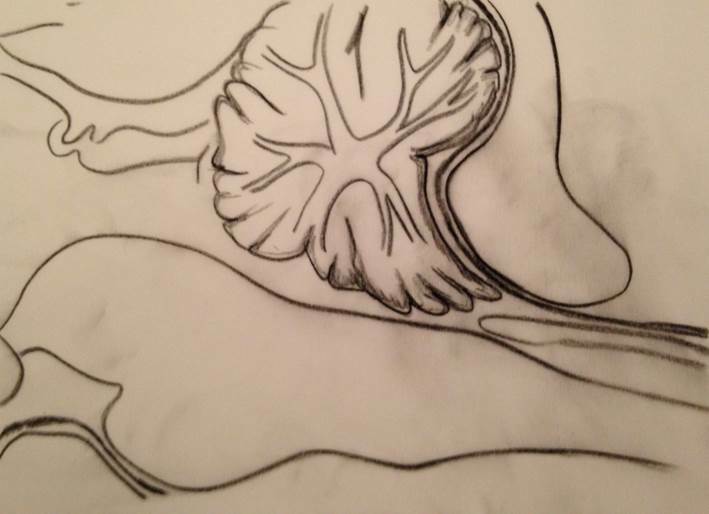 A rarely applied technique of medial acetabulum wall penetration, allows deeper cup insertion , increasing the stability of the implant-Fig.6. This stability is provided by the press-fit cranial and caudal cup edges flush. 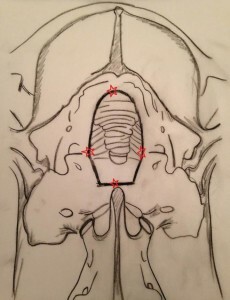 Logically, the technique demands ideal starting point of the acetabular reaming, because any offset may cause inadvertent dorsal bone loss or devastating acetabular fracture-Fig.7. No option for switching towards cemented cup would be present in these circumstances. So a plan for hybrid THR (BFX cup and CFX stem) was made. 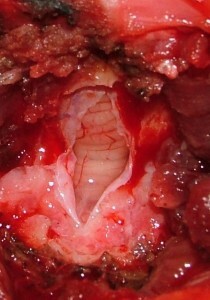 Excellent clinical results with hybrid Biomedtrix system were reported (Gemmill TJ, Vet surg, 2011). 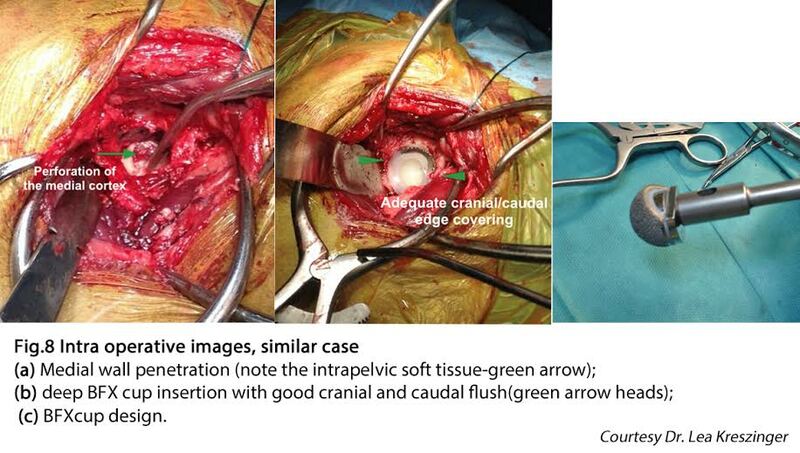 A standard cranio- lateral approach to the hip joint, including full tenotomy of the deep gluteal muscle, was used. 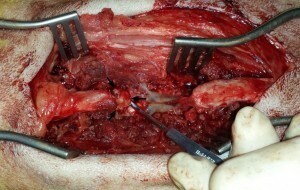 The sciatic nerve was not exposed during the procedure. Advancing through the excessive fibrotic tissue formed at the previous surgical field was extremely challenging and time consuming. 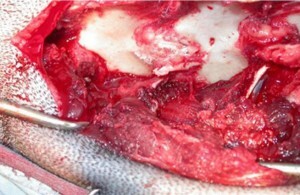 It included sharp and blunt tissue dissection. A serious haemorrhage was met from unrecognised arterial vessel in the caudo- distal part of the surgical area. Direct clamping was attempted but not possible, so gauze compression was applied, during the whole procedure. 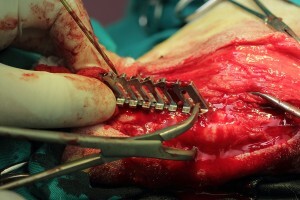 The replacement arthroplasty was accomplished, following the algorithms and rules provided by the implants manufacturer (more detailed information could be found at http://biomedtrix.com). Only the important technical problems and solutions are described in the following surgery protocol. A pelvic positioning device was placed underneath the patient, before the aseptic preparation. A full external femoral rotation to 90 degrees was not possible in the case. The presence of diffuse inelastic fibrotic adhesions, restricted significantly the manipulation of the femur. Two assistants were used to improve the manipulation and retraction at the surgical site. 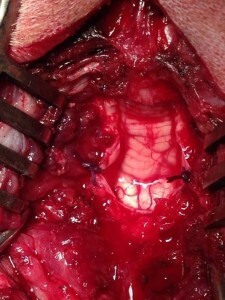 Using a resection guide, aligned with the central axis of the femur, the remnant of the neck was resected according to the preplanned. 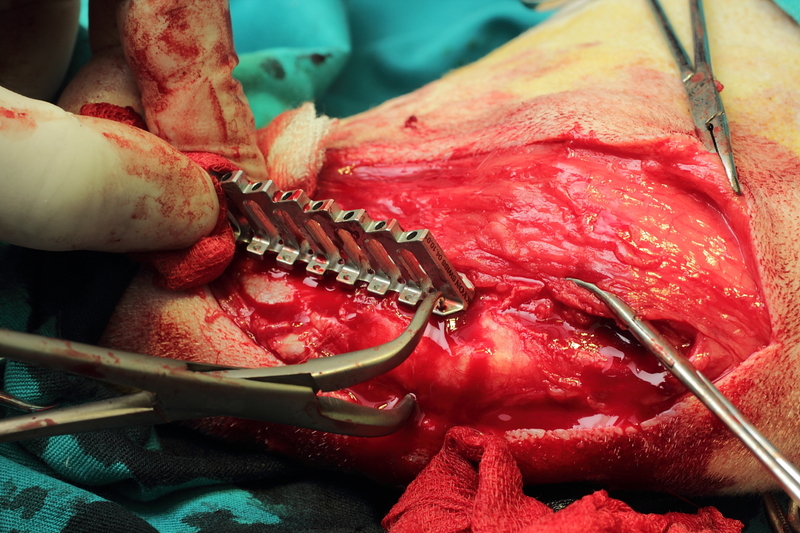 A blunt-tipped Hohmann retractor was used to elevate the proximal femur from the wound. Adequate but still more or less suboptimal passage to the canal was achieved. The entry point was difficult to visualise because of the solid sclerotic bone, present in the trochanteric fossa. The femoral canal was entered with great care to the alignment, gradually starting with initial 3 mm pin and proceeding with 5 mm drill bit. The canal was opened and expanded through reaming of caudal and lateral femoral neck’s walls. Extremely hard cortical bone was found in the caudal and medial femoral neck area. It caused considerable resistance to consequent broaching process. It was physically demanding to resist the tendency of the broach to slide back into malalignment during reinsertion. Small crack fracture (about 3 mm bone fragment) was inevitably caused at the medial wall edge. 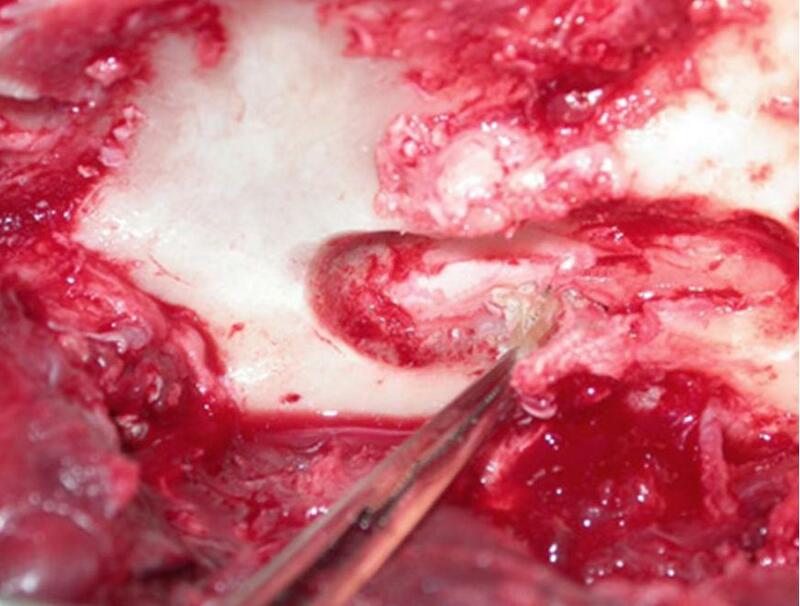 No margin of cancellous bone was preserved between the implant and the cortex in the case. Temporary gauze compression of the canal was used to restrict the bleeding, during the following procedure of acteabulum bed preparation. After the BFX cup insertion, the stem was fixed to the femoral canal, using gentamycin impregnated cement. 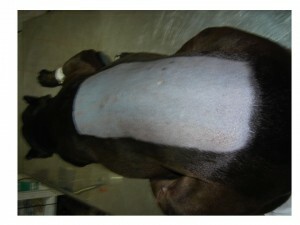 (Biomedtrix 3 G veterinary bone cement) applied by improved pressurised technique (using cement restrictor). No stem centraliser was used in the case. Meyerding retractors were used to reflected fibrotic soft tissues away of the acetabulum. A Hohmann retractor tip was positioned ventro-caudally of the acetabulum, so a femoral shaft retraction was achieved through a lever arm effect. The visibility to the pelvis was quite satisfactory. 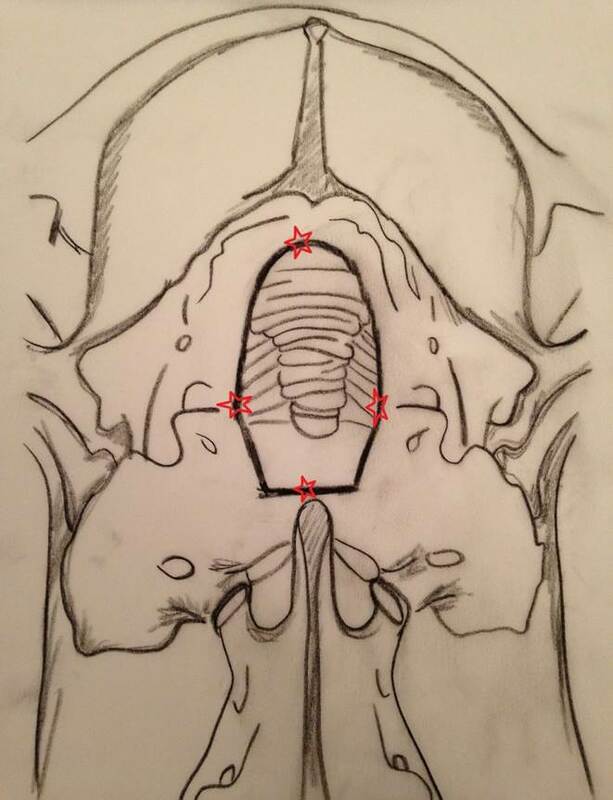 An emphasis was put on NOT- starting the acetabular reaming in the dorsally migrated pseudo- acetabulum (nevertheless reliable landmarks were difficult to found). First, the reaming was started approximately 20 degrees to perpendicular, and afterwards changed to the desired cup insertion position. Sequentially larger reamers were used. Very careful and gradual medial wall penetration was accomplished, incrementally testing the acteabular depth with a trial cup. The size of the opening was reasonably big and the periosteum could not be preserved. 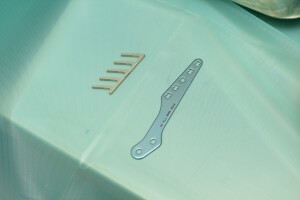 The toggle pin from a previous surgery was retrieved during the procedure. Аfter the BFX cup hammering, there was a feeling for solid, and good flushed cup component- Fig.8. Excellent implants’ stability and reasonably good orientation were appreciated on the post op X- rays (Fig.9). BFX cup- a mild negative inclination and moderate retroversion was noticed. There was an excellent incorporation within the acetabular bone. CFX stem- excellently centered in the frontal plane , but caudally tipped in the saggital plane. There was good cement filling, except small cavity in near the medial femoral wall. The caudo- distal stem deviation, was probably caused by restricted proximal femur manipulation and suboptimal canal passage availability. It had precluded good alignment broaching and stem insertion- Fig. 10. 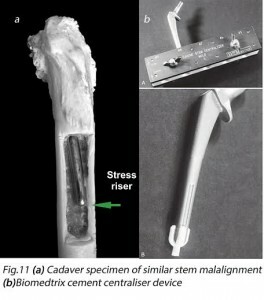 A potential negative effect of eccentrically placed stems (tip contacting the cortex) could be a creation of stress riser effect and increased risk of femoral fracture, especially if BFX stem is being inserted. The use of cement mold centraliser may had improved the stem orientation, but was unavailable in this case- Fig.11. The small air defect in the cement was probably caused by leakage through the medial wall fragmentation caused intraoperatively. Postoperative analgesia included NSAIDs for 4 weeks. The dog was discharged the next day after surgery, with owner instructions for strict cage rest: controlled leash walking only for 10 minutes, 2-3 times daily. The patient was toe- touching for 5 days post op with gradual increase of the limb usage; real weight bearing 7 days after the surgery. Physiotherapy was restricted to passive range of motion (home exercise). A close follow-up was performed by phone contact with the owner. Radiographs were repeated at 12 weeks post op- Fig. 12. They revealed good implants stability; a femoral cortex hypertrophy was noticed around the stem tip area. This was appreciated as physiological remodelling due to altered bone stress bearing. The patient revealed gradual , but consistent and sustained full clinical improvement. Unrestricted activity was allowed for 12 weeks, when normal (pain free) limb function was appreciated (Video 3). 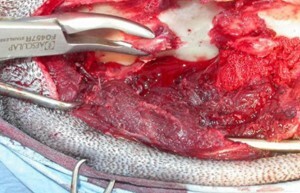 Increased left hind leg muscle mass was found even in this short post op period. Return to normal ROM was found at the recheck (Video 4). Very good perceived quality was reported by the owners. Transforming of FHNO to THR is a challenging but viable treatment option, even in severely complicated cases. The Biomedtrix system offers great implants’ design advantages, including combination of hybrid elements; excellent BFX cup anchorage, even in deformed shallow acetabulums. Difficulties and complications could be faced during the FHNO revisions. These met in this case were manageable, but a higher complication ratio could be expected in similar scenarios. The major causes are the profound morphological changes present after femoral head and neck excision, and the fibrotic adhesions restricting the optimal femoral manipulation during the procedure. The veterinary professionals , should use FHNO technique wisely, taking into consideration its financial/clinical advantage and disadvantages. 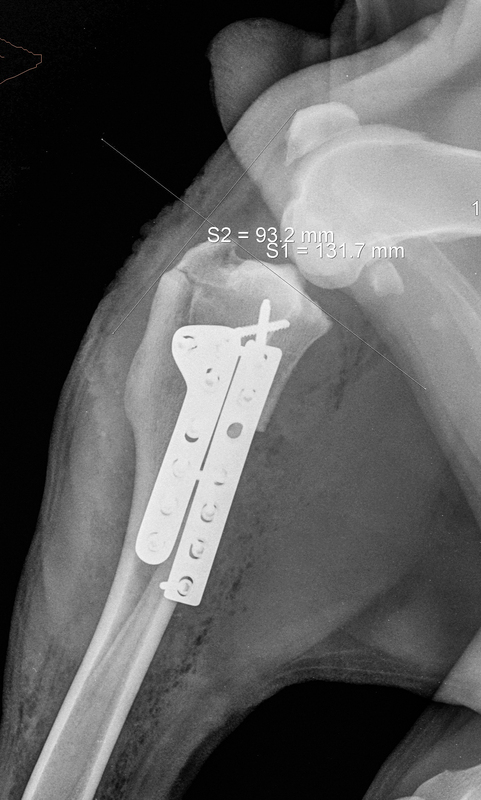 The excision arthroplasty should never be suggested as a temporary clinical relief in large breed dogs because more or less it disrupts the normal bio- mechanics, causes length discrepancy and have unpredictable pain relief, requiring prolonged rehabilitation or a revision surgery. During initial discussions about treatment options, the owners should always be treated fare with evidence based approach and realistically expected results explained. This could protect many dogs from suboptimal functional results, following FHNO recommendation in inappropriate candidates. 3. Iwata D, Broun HC, Black AP, et al: Total hip arthroplasty outcomes assessment using functional and radio- graphic scores to compare canine systems. 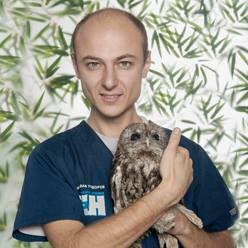 Vet Comp Orthop Traumatol 21:221, 2008. 5. Dueland R, Bartel DL, Antonson E: Force-plate technique for canine gait analysis of total hip and excision arthroplasty. J Am Anim Hosp Assoc 13:547, 1977. 8. 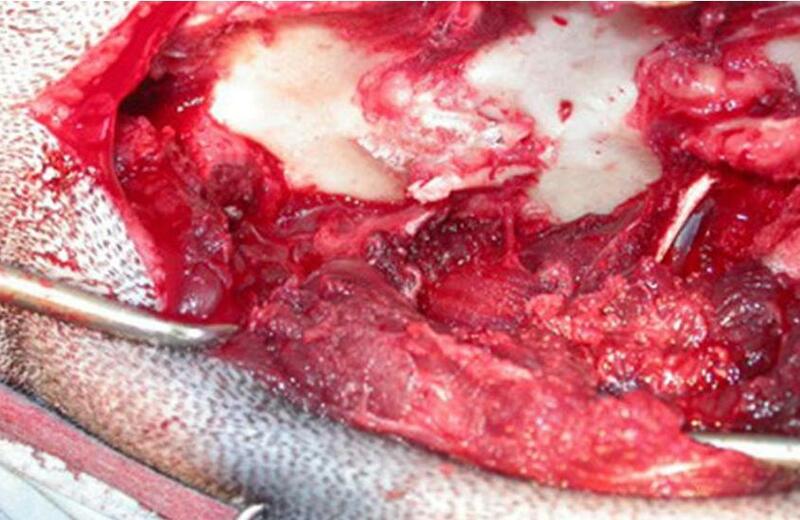 Excision arthroplasty of the hip joint in dogs and cats. Clinical, radiographic, and gait analysis findings from the Department of Surgery, Veterinary Faculty of the Ludwig-Maximilians-University of Munich, Germany. 1997. 10. Ganz R: A new periarticular osteotomy for the treatment of hip dysplasia: technique and preliminary results. Clin Orthop 232:26, 1988. 11. Penwick RC: The variables that influence the success of femoral head and neck excision in dogs. Vet Med 87:325, 1992. 13. Lippincott CL: Improvement of excision arthroplasty of the femoral head and neck utilizing a biceps femoris muscle sling. J Am Anim Hosp Assoc 17:688, 1981. 14. Tarvin G, Lippincott CL: Excision arthroplasty for treat- ment of canine hip dysplasia using the biceps femoris muscle sling: an evaluation of 92 cases. Semin Vet Med Surg Small Anim 2:158, 1987. 15. 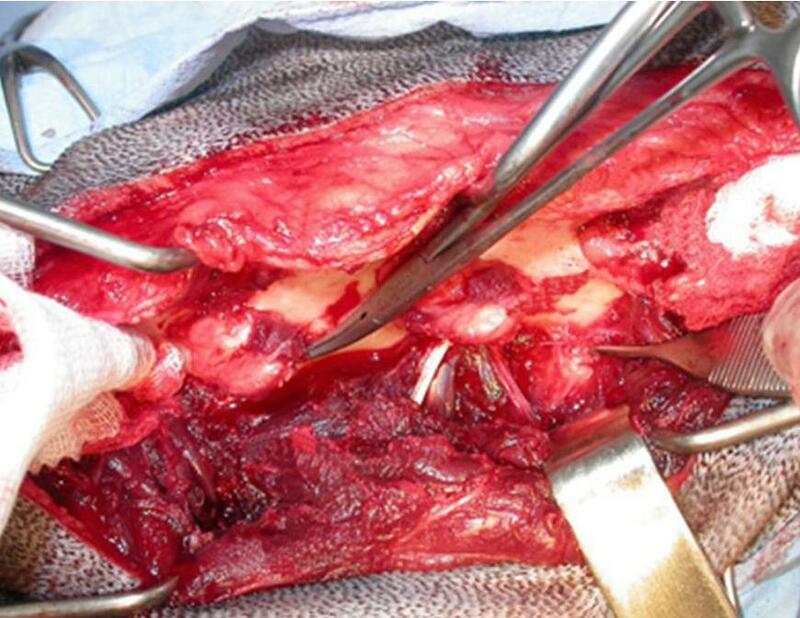 Duff R, Campbell JR: Effects of experimental excision arthroplasty of the hip joint. Res Vet Sci 23:174, 1978. 16. 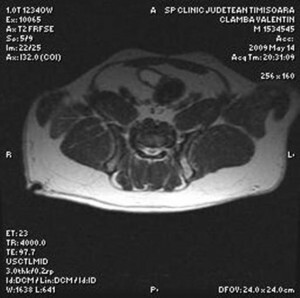 Duff R, Campbell JR: Radiographic appearance and clinical progress after excision arthroplasty. J Small Anim Pract 19:439, 1978. 17. 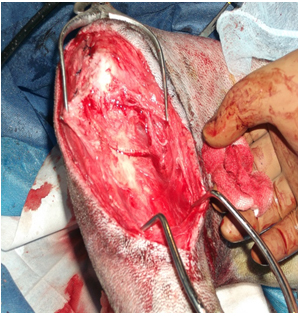 Lewis DD, Bellah JR, McGavin MD, et al: Postoperative examination of the biceps femoris muscle sling used in excision of the femoral head and neck in dogs. Vet Surg 17:269, 1988. 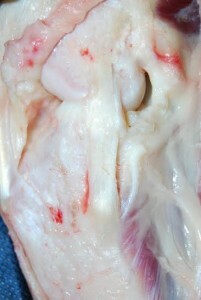 The most common cause of rear limb lameness in the dog is rupture of the cranial (anterior) cruciate ligament. This derangement results in degenerative changes (osteoarthritis) in the stifle (knee) joint, including cartilage damage, osteophyte (bone spur) production, and meniscal injury. 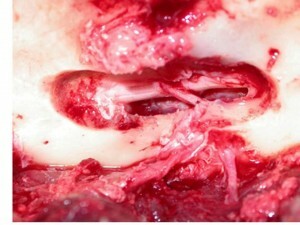 The Tibial Plateau Leveling Osteotomy (TPLO) has proven effective in returning these deranged stifles to full function. 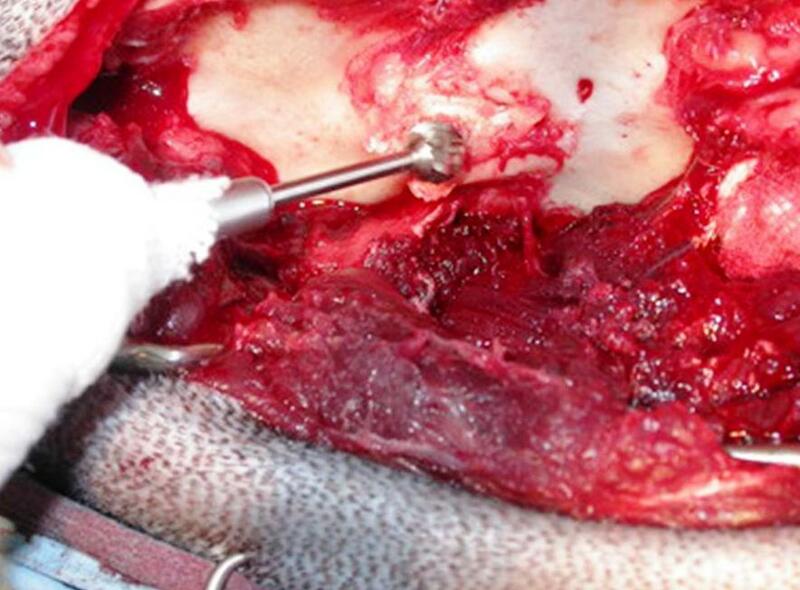 Developed by Dr. Barclay Slocum, TPLO was a radical procedure for addressing canine ACL injuries. 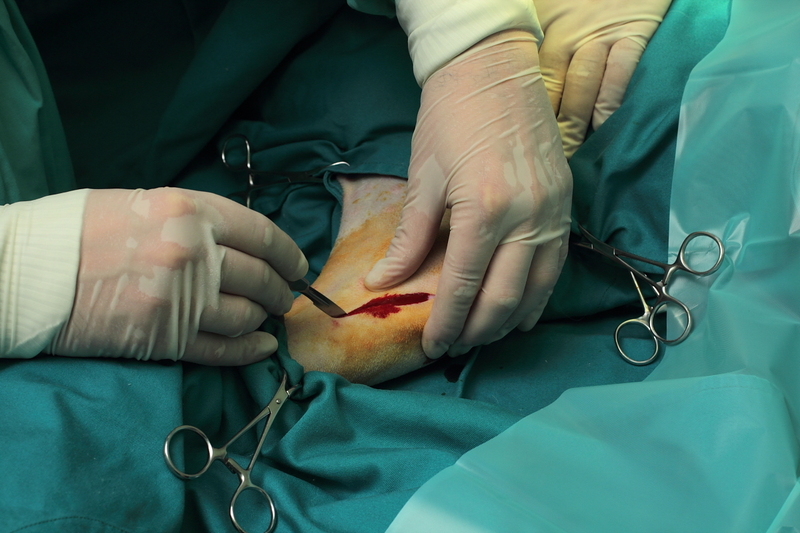 Now in existence for over 20 years, the surgery has proven itself, time and time again, to be an extremely effective long term solution for addressing cruciate ligament injury in dogs. TPLO is most frequently performed in medium to giant breeds. Greater bodyweight is a positive indicator for selection of TPLO as a treatment option. 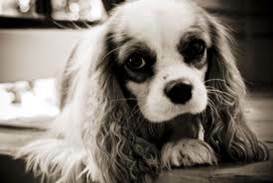 The procedure can be performed and on small dogs and even cats, but then should be make exact discretion the potential benefits and complications. 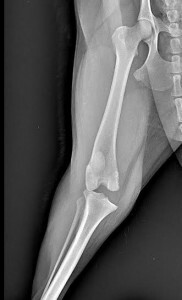 Cruciate ligament degeneration is seen increasingly in young large breeds, in some cases within their first year. 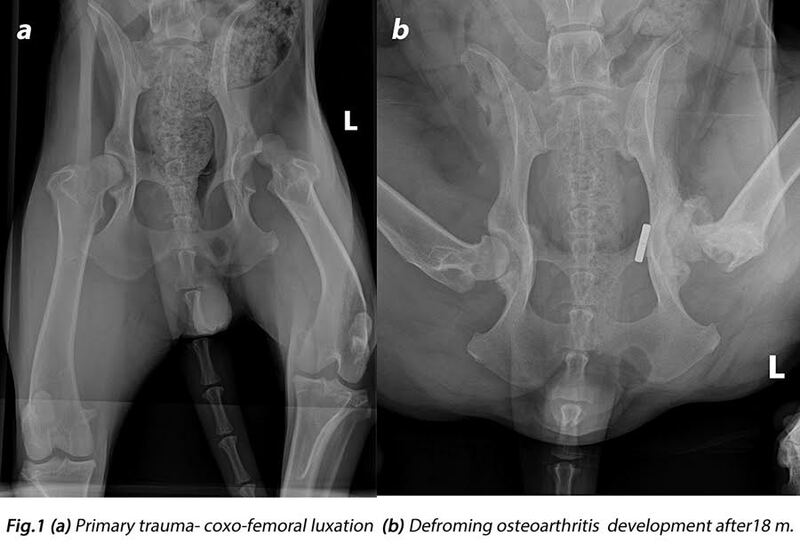 Minimising osteoarthritis in the long term is a priority for these young dogs. 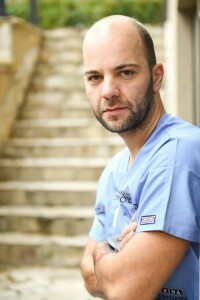 Many surgeons believe that this leads to the TPLO being the technique of choice, although long term comparative studies continue to investigate this. 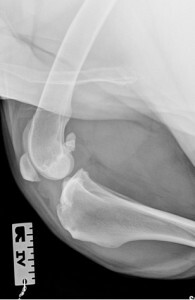 These cases frequently show bilateral degeneration, and partial cruciate ruptures are common. 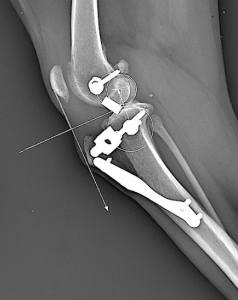 The procedure is good option for dogs over 6 months of age, with progression of ossification of proximal tibial growth plates. 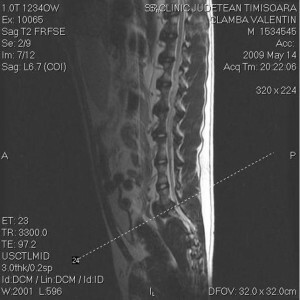 Cases of partial ligament rupture show a very rapid iprovement following TPLO. 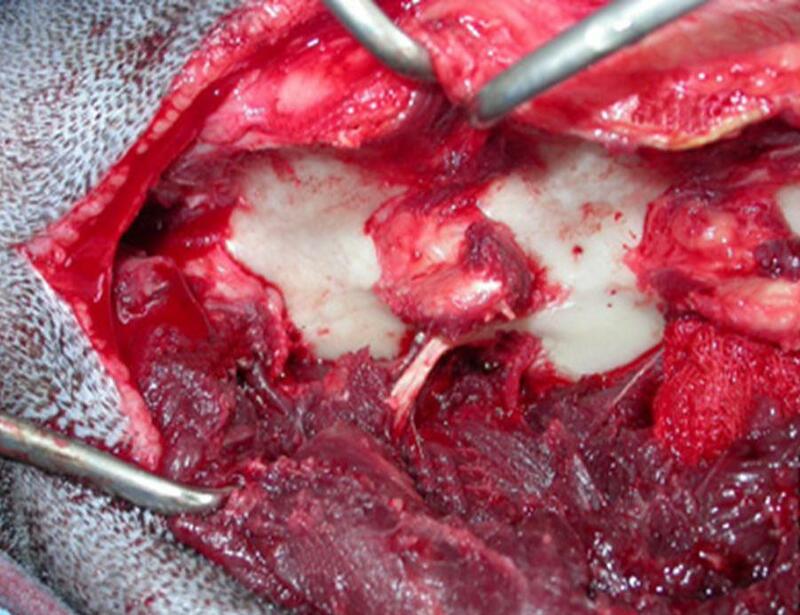 Importantly, they typically do not progress to complete ligament failure as TPLO acts to neutralise the forces on the cranial cruciate ligament. TPLO is widely accepted to give the best functional outcome, in the short to medium term, and has enabled working/performance animals to return to high functional standards. Average plateau angles range from 22°-26°, but angles from 15° are still remain a TPLO candidate with good post-operative outcome. However, in cases with an increased tibial plateau angle, TPLO has proved particularly beneficial. 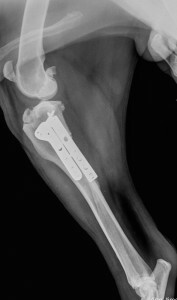 Case studies have advocated TPLO as the technique of choice for even small breeds with excessive tibial plateau slopes. In some of those cases the amount of angular correction required leads to a Wedge resection technique being favoured over the Slocum(curved-cut) TPLO. 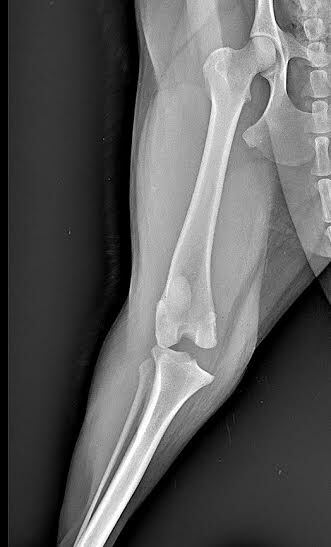 Occasionally the stifle will rest with the tibia cranially translocated following cruciate rupture the tibial crest is palpated cranially, the patella tendon is less distinct, and the first movement during cranial drawer is backwards, often associated with a dramatic degree of movement. 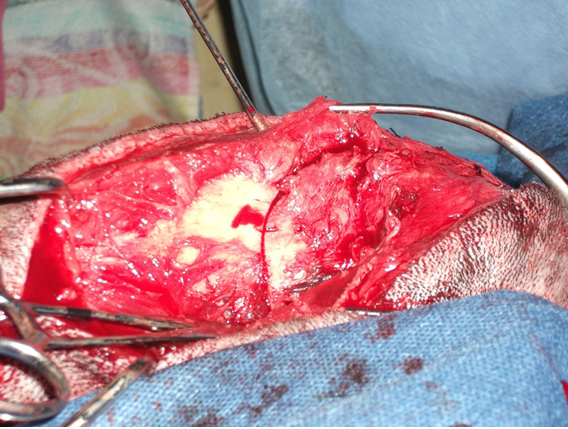 In some authors experience these cases may return to cranial translocation with significant recurrence of lameness weeks after extracapsular lateral fabella suture placement. In those cases, in a limited number of procedures, TPLO have shown better outcomes. Overall, the good TPLO candidate is medium to large breed dog, from 6 months and plus, active, with need of full functional restoration of the limb. This is the case of Hades. 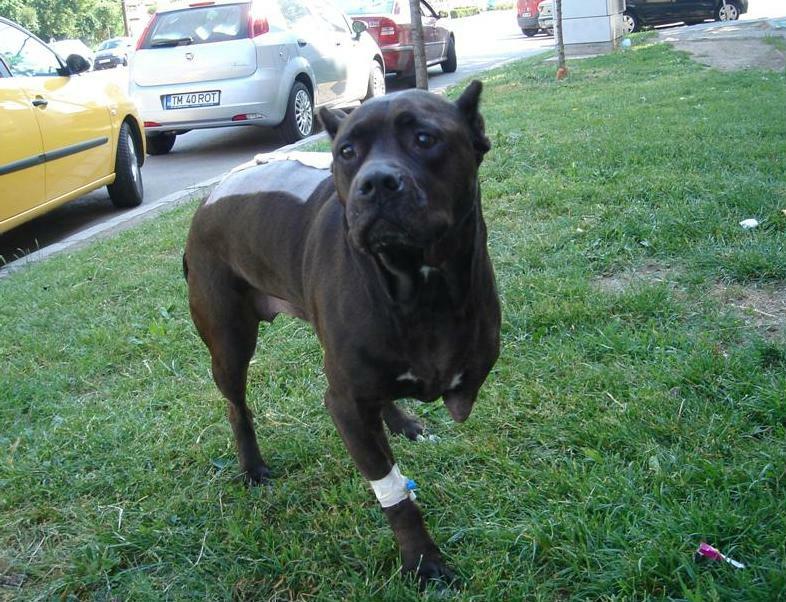 He is oversized cane corso, 6 years old, bodyweight is 78 kg and he suffers from hip arthrosis of the right hip in result of hip dysplasia and chondroma of right carpal bones. He came with lameness on the right rear limb from few weeks, which is worsening. He had and positive “sit and drawer tests. The TPLO remains one of the best surgically ways to manage CrCrLR even in oversized dogs, even with concomitant diseases of the locomotor system. The most important thing is every surgeon to make optimal assessment of the patient’s status and to remember that every case is specific. Dog , Golden Retriever 4 year old, 29 kg weight, was presented to the clinic with chronic pain and lameness in his left hind limb. Beside that the dog was perfectly healthy. During the orthopedic examination in sedation, there are persistent sign of drawers which is the most important sing of Cranial Cruciate Rupture. On X- ray was no osteoarthritis founded. During the preparation for the surgery, measures of the knee were taken from the same X-ray. Measuring for this procedure must be precise and it’s done with help of special equipment. During the surgery dog was placed in left lateral position, and approach on the knee was from medial side. 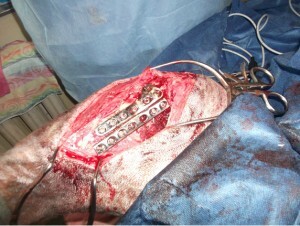 After exposing the tibial bone markers were placed into the tibial crista. Afterwards, precise cut was performed with special saw to cut of the tibial crista, on that site the titanium plate was placed with fork. Next step during the surgery is placing a cage into the space between tibial crista and other part of tibial bone screwing it with screws. When everything was stabile it was irrigated and closed. The dog that we operated was necessary to be under restriction as much as possible minimum two weeks. After only 24h dog was touching ground with operated leg, but he was on restricted walks for two weeks because of his temperament. 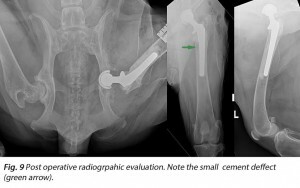 There was no postoperative complications, one month later dog was using his leg practically normal, but he was still under the supervision of the owner. A 3,5 years old mixed breed dog was presented at the clinic with finding of non ambulatory paraplegia. Dog was hited by a car 25 days prior to the presentation. Since then the dog has been treated conservatively without any improvement. 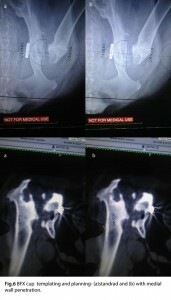 Radiography study showed L7 fracture. 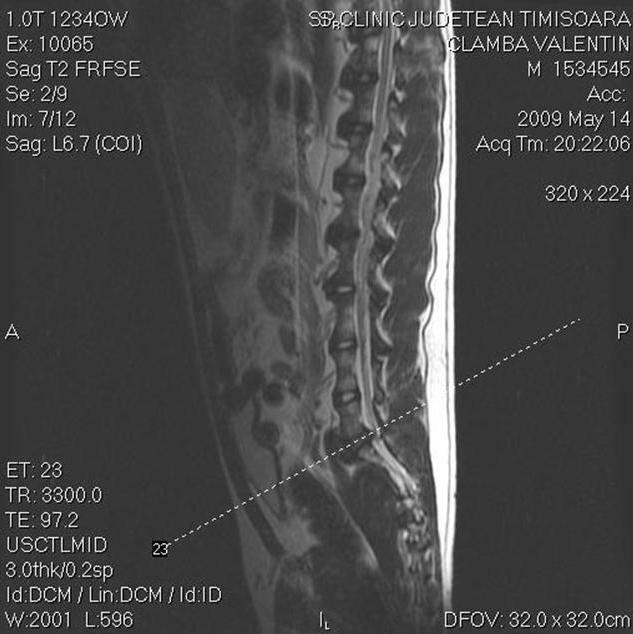 MRI study showed T13-L1 compressive myelopathy caused by disc material, and lesion L2-3 and L3-L4 consisted with the findings of pseudomeningocoele in humans. 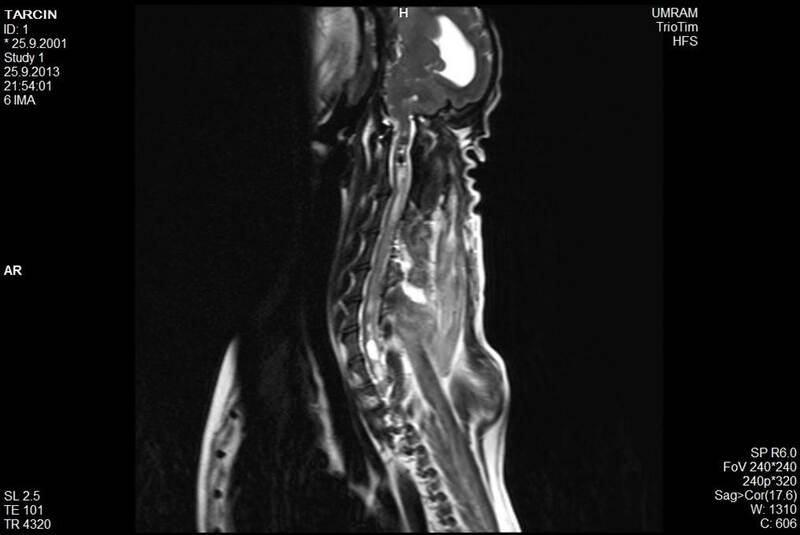 The purpose of the article is to suggest that a lesion consisted with pseudomeningocoele in humans can be find in dogs in late MRI screening after nerve root trauma. Figure 2. 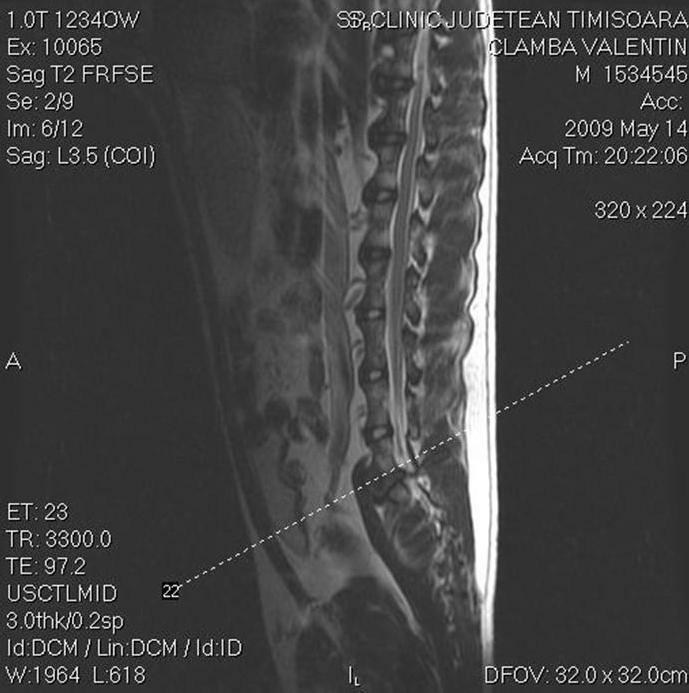 Sagital image of lumbal spinal cord segment in T2 sequence. Shows high signal intensity at the level of nerve root. Loss of signal intensity at the disc ventral to the lesion L3-4. L1-2 complete of signal intensity. 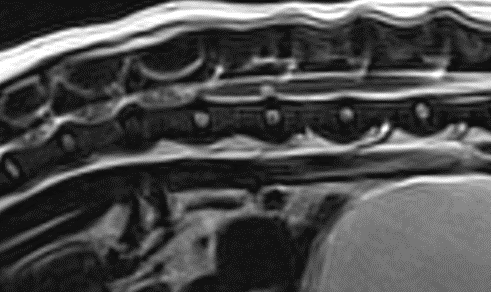 Th13-L1 compressive myelopathy caused by disc extrusion. The dog was treated surgically right T13-L1 hemilaminectomy with disc fenestration. 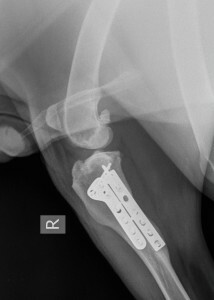 The owner refused to allow surgically treatment of L7 fracture. Postoperatively the dog was treated with antibiotics ( synulox 250mg BID 10 days), NSAID ( carprofen 25mg BID), and physical therapy. Dog was ambulatory 3 weeks after surgery. 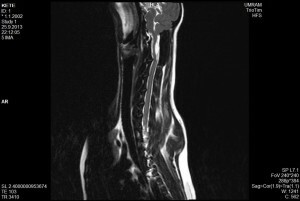 1,5 month after the surgery there was no abnormalities at the neurological exam. 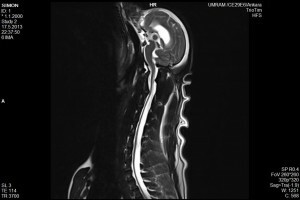 The case was analyzed for a probable etiology of L2-L3 and L3-L4 lesions visible at the MRI study considering case history, progression of signs, concurrent lesions, lesion distribution and pattern of appearance. It was also taken in count fast improvement of neurological condition immediate after decompression surgery at the level T13-L1. 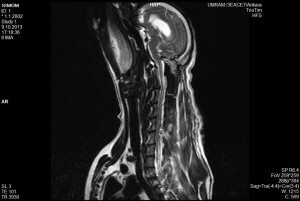 Most of the neurological findings were consisted with all three lesions find during MRI imaging. 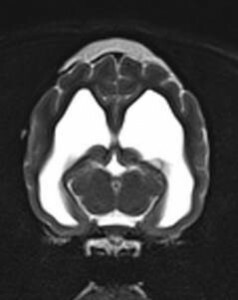 The lesions at the level of L2-3 and L3-4 were localized at the foramen, extradural, unilateral. Lesion were homogenous, there was no edema surrounding the lesions. Lesion showed T2 hyperintensity, T1 hypointensity. Vascular lesions at that time after the injury would show high intensity signal in both T1 and T2 sequences. Inflammatory or edema would show T2 hyper intensity and T1 hyper or iso intensity of the signal. 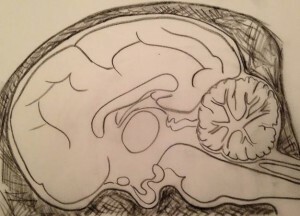 Anomalous lesion would not be consistent with lesion pattern and neurological deficits connected to the localization without previous clinical signs. Neoplastic conditions would not fit with lesion distribution and progression of clinical signs, but would fit with signal intensity pattern. 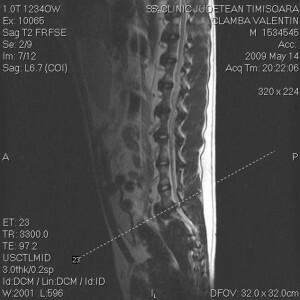 Taking all data in count lesion fits with the condition well described in human medicine as pseudomeningocoele caused by traction trauma to the nerve roots of lumbal intumescence. This hypothesis is limited by facts that MRI study is not complete. There is absence of FLAIR study wich would support theory that the T2 high signal is due to CSF accumulation. Contrast study would help to eliminate other possible lesions. One could ask question why just two nerve roots were traumatized. 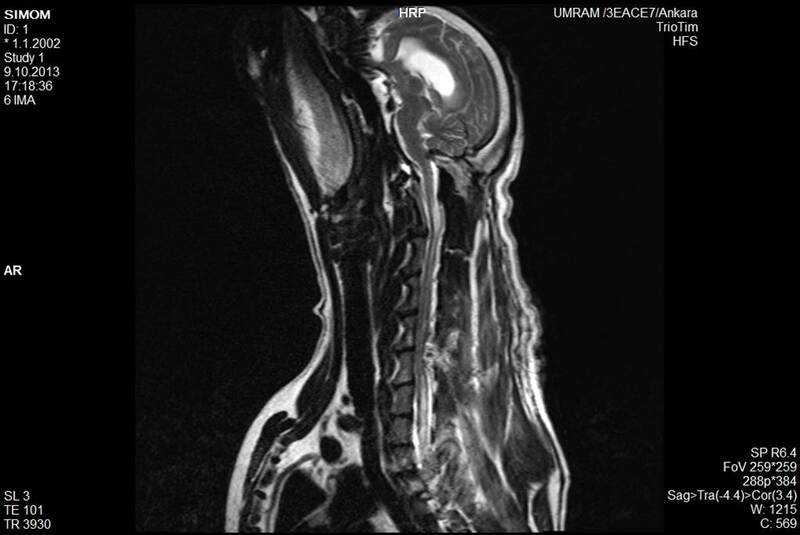 And the final limitation is that there is no follow up MRI study done after resolution of clinical signs. 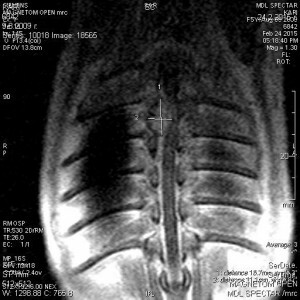 Pseudomeningocoele is condition of CSF accumulation due to dura tearing. Major causes are congenital, blunt trauma and traction trauma (1). The mechanism of traction trauma is not clear. It is suggested that can be caused by CSF pressure wave due to increased abdominal pressure (2), or flexion/abduction aggressive movement (3), or flexion/distraction movement (4). 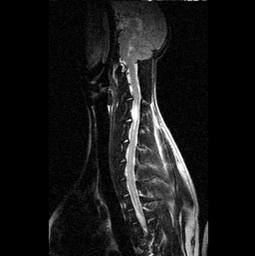 There is no correlation between severity of nerve root injury and pseudomeningocoele appearance (4). 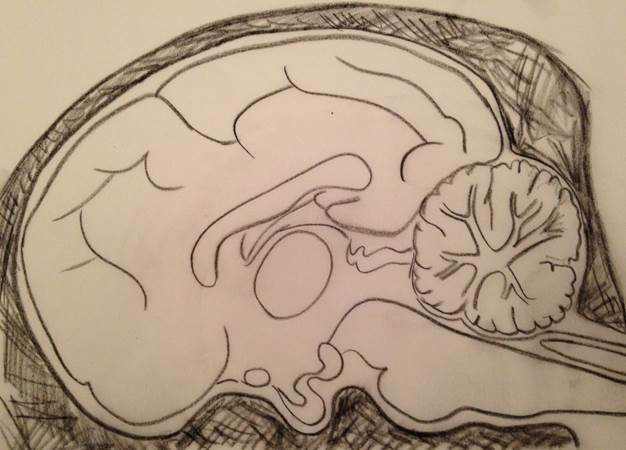 There is no definitive strategy for pseudomeningocoele treatment (4). 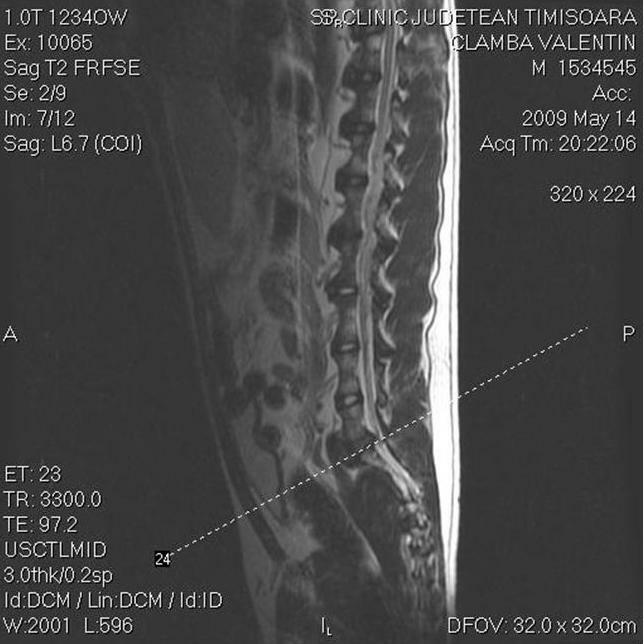 Often nerve root injury is more distally than pseudomeningocoele site. Multiple ligament knee injury is rare in dogs but more common in cats. 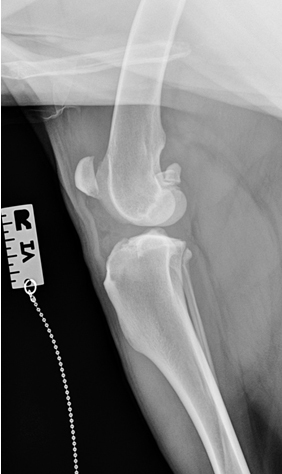 Cranial cruciate ligament rupture in dogs is considered to be mainly degenerative in origin rather than primary traumatic which is opposite compared to humans. In the followed two cases there were no signs of preexisting degenerative changes in the stifle joint and they were considered as primary traumatic. In dogs statistically injury to the medial collateral ligament is more common than an injury to the lateral one. Only third degree and some second degree collateral ligament injury leads to stifle joint instability and requires surgery. The main ligamentous support in the stifle joint is provided by four femorotibial ligaments – two cruciate ligaments and two collateral ligaments. 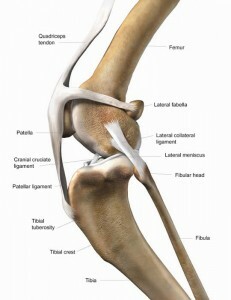 The lateral collateral ligament in the stifle joint has an insertion points on the lateral. epicondyle of the femur and the proximal part of the fibula with some fibbers also attaching on the lateral tibial condyle (fig.1) . The medial collateral ligament has proximal insertion point on the medial epicondyle of the femur and broad distal insertion point on the caudomedial aspect of the proximal tibia (fig.2) . Some part of the ligament also blends with the joint capsule and has an attachment to the periphery of the medial meniscus. To summarise, the lateral collateral ligament is more loosed, superficially positioned and is taut only in the knee in extension. With the stifle joint in flexion the lateral collateral ligament relaxes which allows axial internal rotation inside the joint which is known as “screw home mechanism”. With the knee in extension, both collateral ligaments are taut preventing from excessive internal or external rotation. The cranial cruciate ligament mainly prevents from cranial tibial translation with respect to the femur , hyperextension and excessive internal rotation in the stifle joint. 18 months male Drahthaar, weighting 32 kg with unknown trauma during hunting. 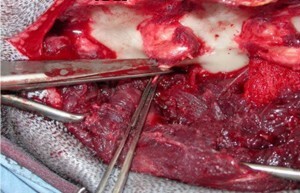 Dog was presented a few hours after the trauma fully non weight bearing with the left hind limb. 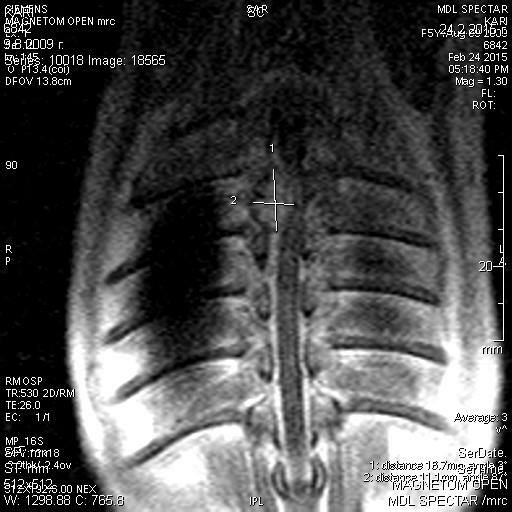 During physical examination an obvious cranial to caudal instability (positive drawer test) and lateral collateral instability (positive varus test) were detected. Medial to lateral and posterior to anterior radiographs were taken. There were no signs of preexisting degenerative joint disease. 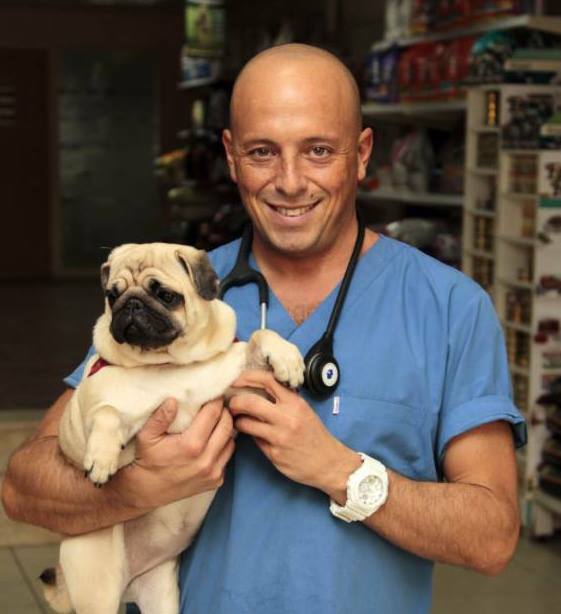 The dog was scheduled next day for a surgical stabilisation of the lateral collateral ligament, exploratory arthrotomy and tibial tuberosity advancement for the failed cranial cruciate ligament. After lateral parapatellar approach, the cranial cruciate ligament rupture was confirmed and the remnants were removed. No other intraarticular structures were visibly injured. By retracting the biceps muscle caudally, a mid substance tear of the lateral collateral ligament was discovered. Both parts of the ligament were sutured using a locking-loop suture pattern (Kesler type). For additional stability, the suture was protected by figure-eight 80# leader nylon positioned at the collate. ral ligament attachments. The prosthetic ligament were fixed to the femoral condyle using a bone anchor and passed through a bone tunnel in the fibular head. 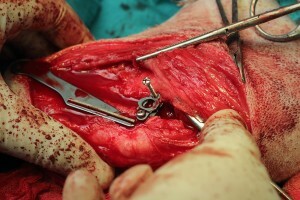 Both ends of the new ligament were tightened using a dedicated spreadand crimped by with the joint in extension. A female mixed breed dog, 4 years old, 12 kg was presented not able to walk after car accident. Fracture of the left humerus was suspected and confirmed by a radiography. Rupture of the urinary bladder was suspected during an abdominal ultrasound and confirmed by a contrast bladder radiographic study. On physical examination a cranial drawer and positive valgus test were noticed on the right knee. Rupture of the medial collateral ligament was confirmed also by stress anterior posterior radiography. On the medial lateral radiograph there were no signs of previous degenerative changes in the stifle joint. Tie-in external skeletal fixator was used for stabilisation of the midshaft humerus fracture during the first surgery performed together with a laparotomy for suturing of the ruptured urinary bladder. A second surgery was performed for the stifle joint consisting of medial collateral ligament repair and tibial tuberosity transposition. After medial approach to the stifle joint and the proximal tibia, medial arthrotomy confirmed cranial cruciate ligament rupture. No other intraarticular structures were visibly injured. Retracting the caudal part of the sartorius muscle revealed a rupture of the medial collateral ligament close to its insertion on the medial tibial condyle. Because the tear was so severe, a primary reposition of the ligaments was not possible. 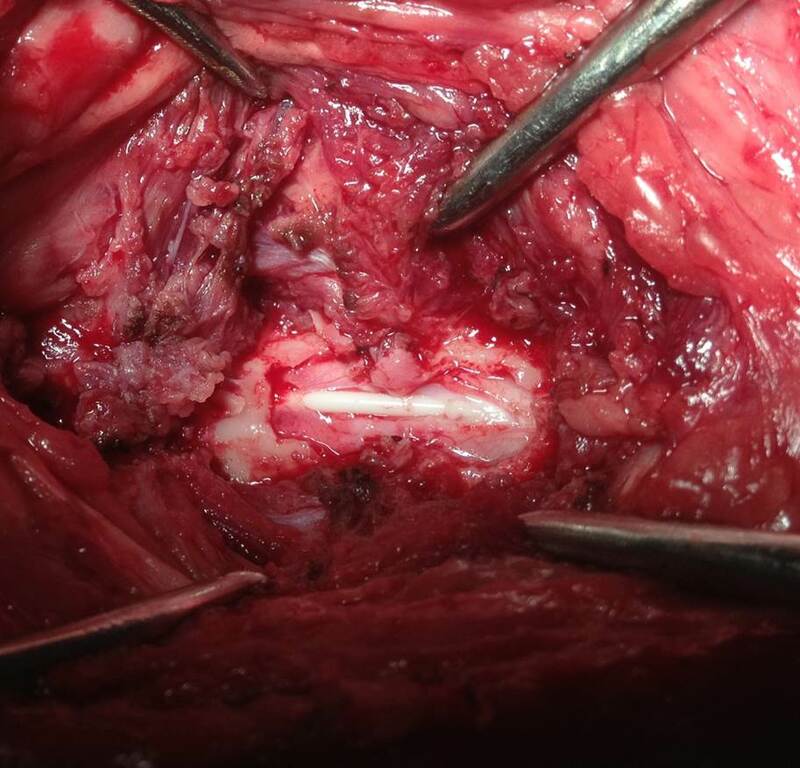 40# leader nylon in figure of eight suture was anchored at the medial collateral ligament attachments around two 2.7mm cortical screws and metal washers to prevent suture slippag Tibial tuberosity advancement was performed as a second stage during the surgery. 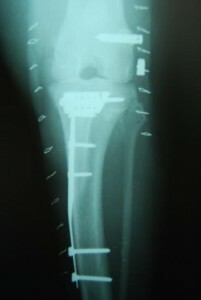 Based on the preoperative measurements using the common tangent method a 7.5 mm cage was used for the tibial crest advancement. Early postoperative period in both dogs passed without complications. About 10 days after surgery dog #2 was diagnosed also with grade II medial patella luxation in the operated knee and another surgery was performed next. Only this dog was followed for a few mon ths after surgery when the external fixator from the humerus was removed. The dog recovered to a fully weight bearing with his right hind limb. Failure of both the cranial cruciate and the collateral ligament support will result in pain, rapid osteoarthritis progression and impaired limb function. The complexity of multiple ligament injury makes the palpation of the joint a bit confusing and could leads to mistakes in diagnosis of cranial vs caudal cruciate ligament rupture. 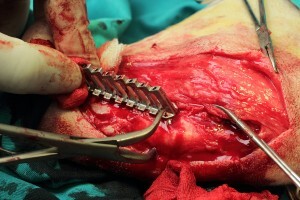 Also because of the possibility of another damaged intra articular structures, an arthrotomy always has to be performed. 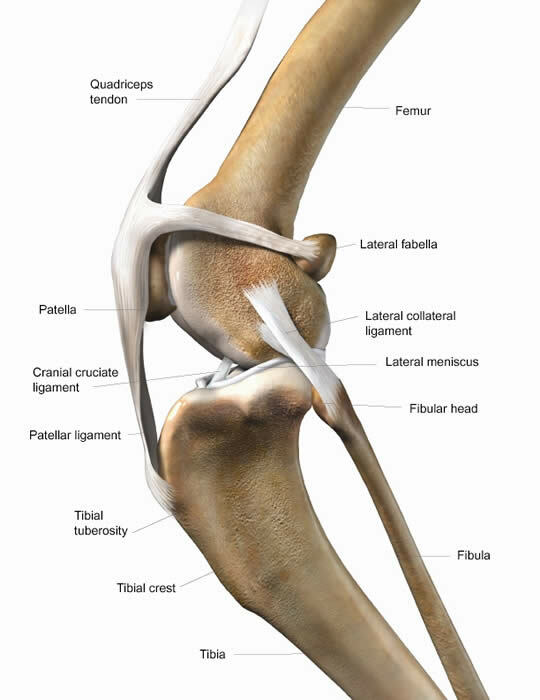 Collateral ligament injury was first addressed in both cases followed by tibial tuberosity advancement for the failed cranial cruciate ligament. Tibial tuberosity advancement is one of the so called geometry modified procedures in cranial cruciate ligament rupture treatment and seems to be a better choice in cases when also a medial collateral ligament is ruptured. 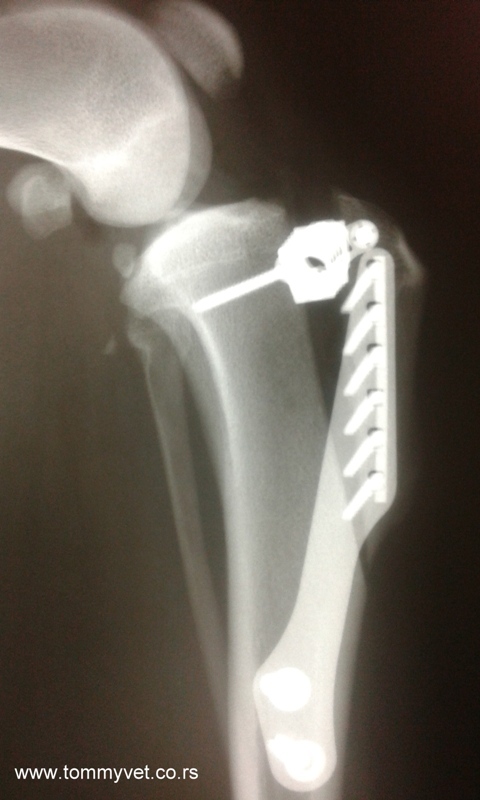 In such a cases positioning of implants (like TPLO plate) on the proximomedial aspect of the tibia will be challenging.